LS-2132U, LS-2134U are enhanced modifications of our reliable LS-2132, LS-2134 lasers and feature a Variable Reflectivity Mirror (VRM) offering improved performance together with rugged design, high stability and user friendly operation. VRM resonator gives excellent harmonic conversions due to increased spatial uniformity of the output beam, low divergence and shorter pulse duration. The sealed beam path eliminates the possibility of contamination of resonator optics. 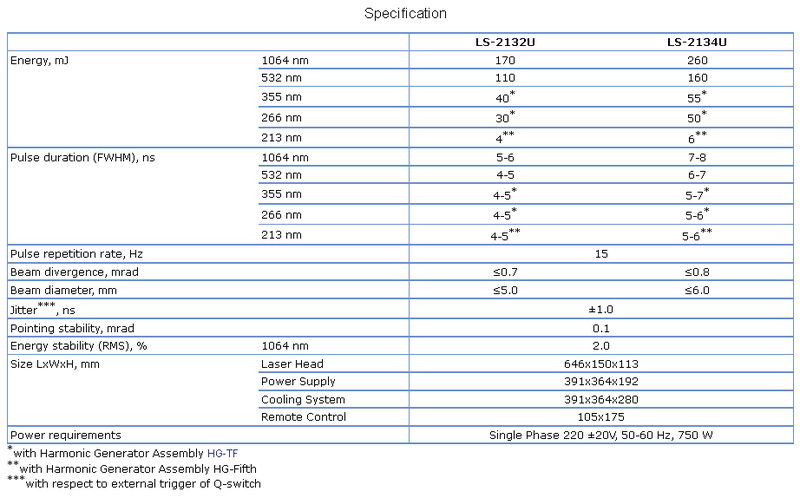 LS-2132U and LS-2134U are ideal for research — ablation, LIDAR, spectroscopy (including LIF, LIBS) — and OEM applications.